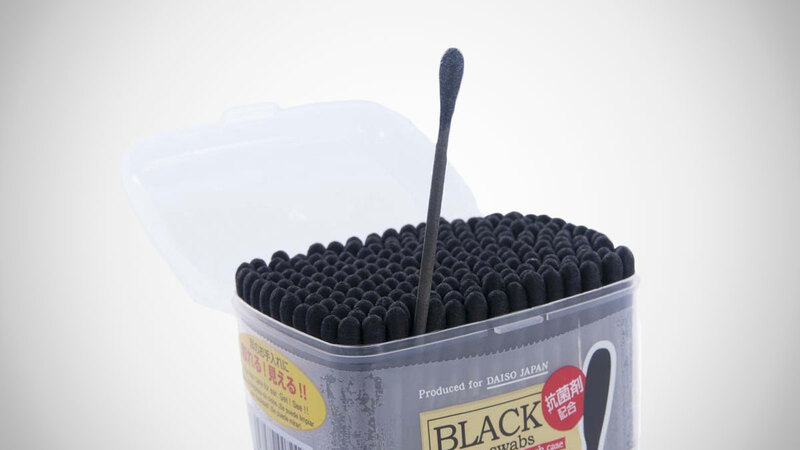 It is a black cotton swab were formulated antibacterial agent. It is easy to take in the one-touch case. It looks good so black that. Oh, and one more thing: why the waxy ear particulates do we need black Q-Tips anyway? Doesn't that make it harder to tell if you've got anything on the swabby end? I mean, the only good thing about cleaning out my ear holes to begin with is the excitement I feel when the Q-Tip emerges especially golden, maybe with a nice nugget or two sticking off the end of it. 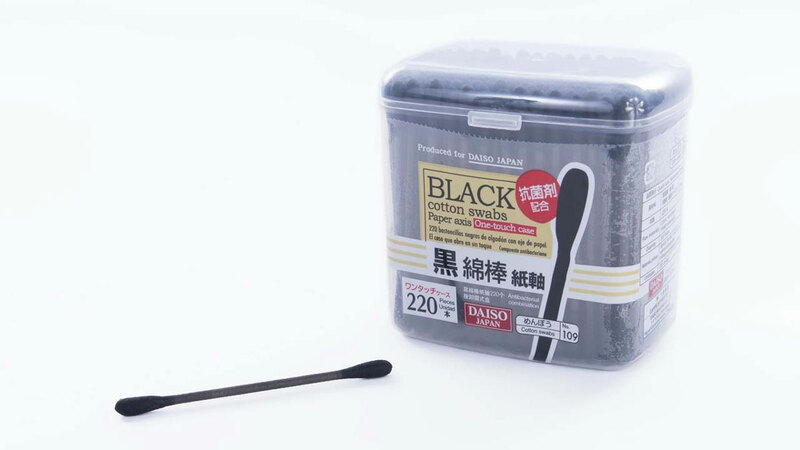 Where's the sick and glorious satisfaction with a black cotton swab? Maybe you just like it because it matches your bathroom.